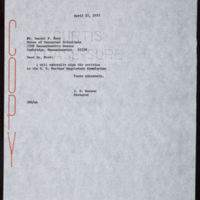 Includes quote by James D. Watson. 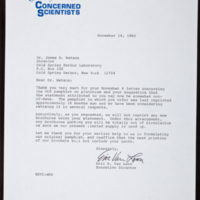 Enclosure from James D. Watson to Eric E. Van Loon. 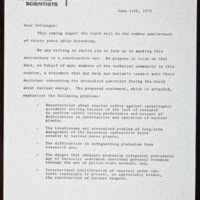 Tags: Nuclear Energy~ Nuclear Power Plants~ Union of Concerned Scientists~ Van Loon, Eric E.~ Watson, James D., 1928-~ Williams, Louis J. 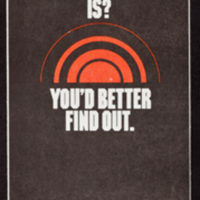 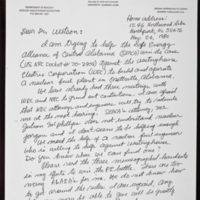 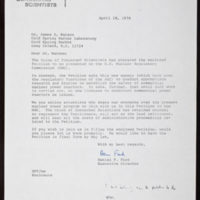 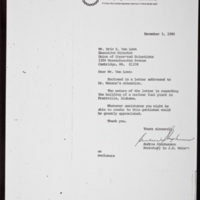 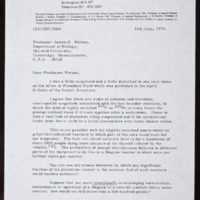 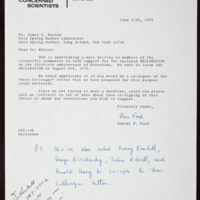 Enclosed with letter from Louis J. Williams to James D. Watson. 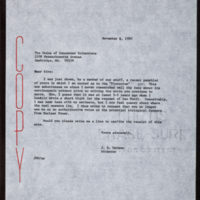 Includes "Declaration of the Thirtieth Anniversary of Hiroshima"